Career in medical science is best suited to those fascinated by the wonders of applied sciences. To provide admissions in MBBS and other undergraduate courses in different Medical Colleges, many Medical Entrance Exams are conducted at National and State Level. 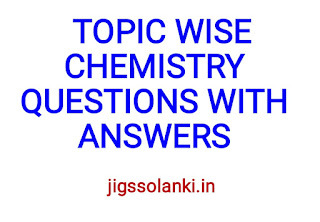 Chapter wise Topic wise Papers Series is a Master collection of questions previously asked from the subject in various exams like, NEET (National Eligibility Entrance Test) and CBSE AIPMT, AIIMS, JIPMER, BVP, BHU, EAMCET, Manipal, UPCPMT, WBJEE, KCET. Present Revised Edition of Chapter wise Topic wise Medical Entrances Solved Papers 2017-05, Chemistry, revisits the complete Syllabus of the subject in a sequential manner. It strategically prepares students for the different formats of Questions asked in such exams. Each chapter gives detailed insight into the difficulty level and pattern of exams like CBSE AIPMT, AIIMS, JIPMER, BVP, BHU, EAMCET, Manipal, UPCPMT, WBJEE, KCET etc. leaving you Exam Ready.